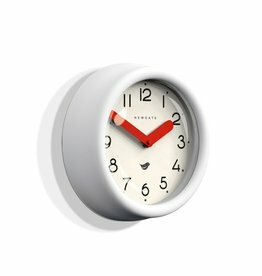 Our contemporary domed podium alarm clock in a tactile silicone finish. 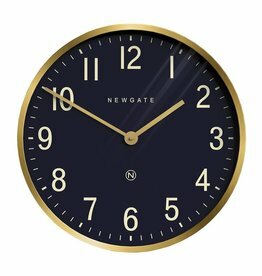 A petrol blue colourway contrasts with a mid-century inspired graphic dial. 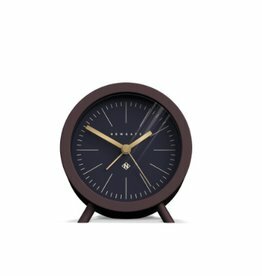 A deep barrel alarm clock with tactile silicone finish. Fred's modern marker dial is measured by minimalist linear hands. 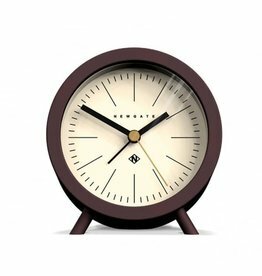 The square cased Cubic alarm clock with its straight edges and graphic dial creates a strong modernist look. A digital beep alarm alerts you to the time. 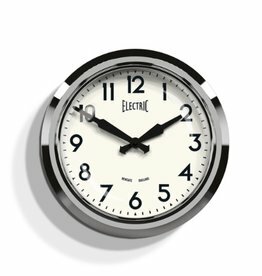 The iconic, mid-century inspired Electric wall clock in chrome metal. 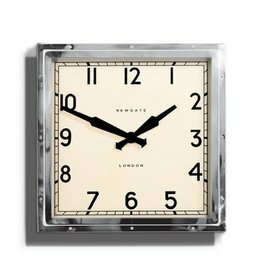 This retro railway station clock has withstood the test of time to become a modern classic. 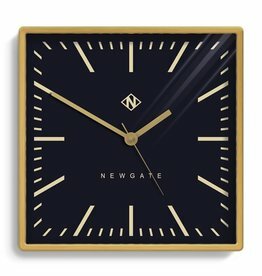 A contemporary wall clock with mid-century style. The Chrysler's focus is on the metal of the moment burnished stainless steel, allied here with a bold graphic dial and linear hands. DESIGN AND FUNCTION MELD INTO ONE IN MR CLARKE’S CONTEMPORARY FORM. 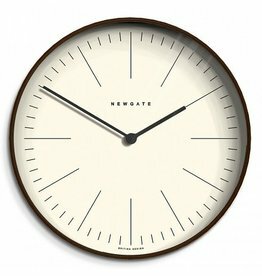 A CLEAN, MINIMALIST DIAL IS SURROUNDED BY A SHAPED PLYWOOD CASE. 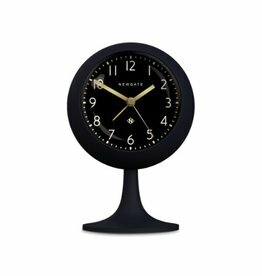 A contemporary wall clock with mid-century style. The Chrysler's focus is on the metal of the moment radial brass, allied here with a bold graphic dial and linear hands. 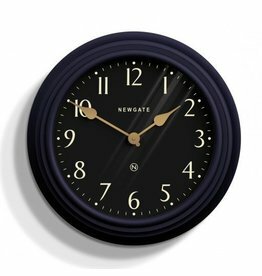 A classic wall clock with a modern edge. A rich blue case finished in tactile silicone holds a clean dial. 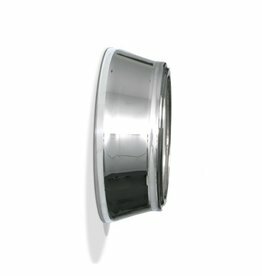 A silent sweep movement means the second hand moves in constant motion with virtually no ticking noise. 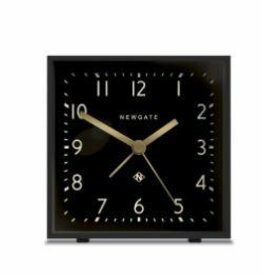 THIS IS A STUNNING CLOCK AND IS THE PERFECT EXAMPLE OF GREAT BRITISH DESIGN, INSPIRED BY THE COOL, SOPHISTICATED STYLE IN THE STREETS OF LONDON. 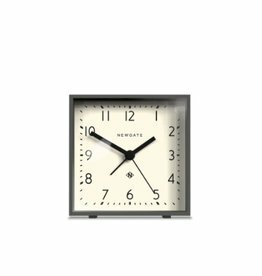 THE PANTRY CLOCK IN 'PEBBLE WHITE' HAS A SOFT MATTE RUBBERISED CASE AND THE DIAL IS CLEAN WITH METAL LOLLY STICK HANDS.PERFECT FOR THE MODERN KITCHEN. 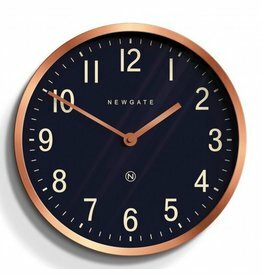 Although it is retro-inspired, the clean modern dial and fresh faced look is bang up to date with interior design of today. 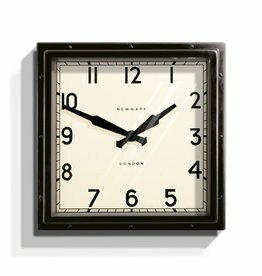 This stunning clock is a recreation of an original found one morning in Portobello Road. 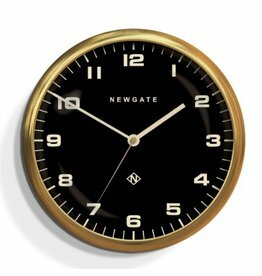 It has since become a best seller for Newgate and with its glamourous vintage look, it's no wonder. 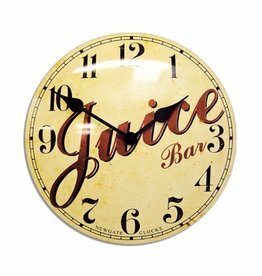 The Juice Convex Clock is a vintage inspired beauty... 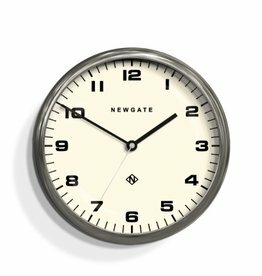 The style is based on the advertising clocks once found in the cafes and milk bars of the 1950s.